When Chrissy was a young girl, she knew that one day she would be living out west on a cattle ranch spending most days in the saddle. Dreams to come true! 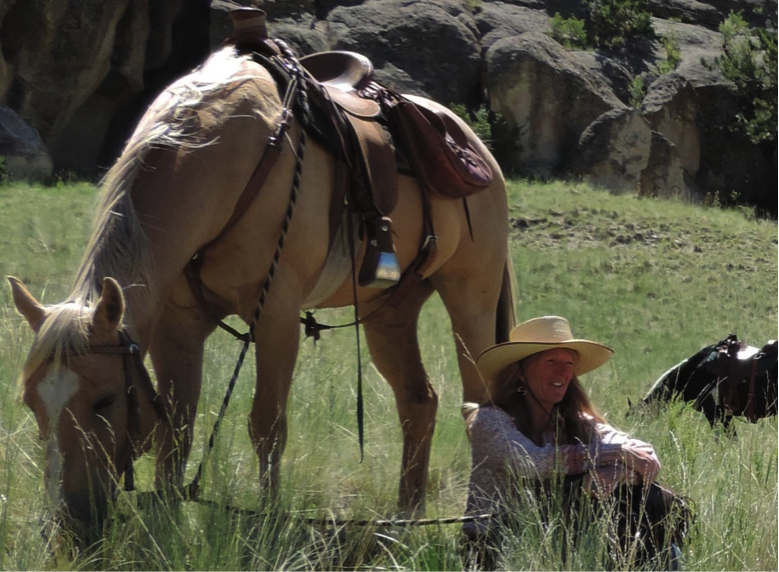 At 52, Chrissy is living her dream in Colorado at Badger Creek Ranch, which is a small guest and working cattle ranch that is owned and run by Chrissy, her husband and their partners, who are also their dear friends. Chrissy McFarren is a Certified Shadow Work® Group Facilitator and for the past 10 years she has been offering Shadow Work® seminars for women and has also offered co-ed seminars with her husband, who is also a certified facilitator. Chrissy is a trauma survivor and dedicates herself to being of service to others as they heal the wounds of trauma. She is also the co-founder and president of Full Circle Farm Growth and Healing Center, a nonprofit founded in 2010 which offers a wide selection of equine assisted learning retreats, workshops, and seminars. One of her greatest joys, besides recently becoming a grandmother, has been the vision and co-creation of Shadow Work through the Way of the Horse® in 2014, which is a combination of Shadow Work® and equine assisted learning. As a facilitator, rancher, farmer, coach, and visionary artist, Chrissy’s life is abundant and she is ever so grateful!